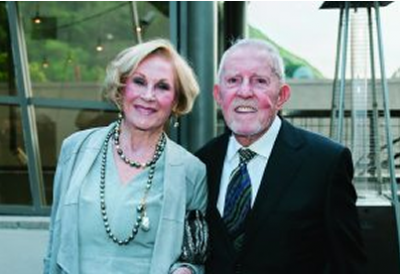 ANAHEIM — A tear-jerking moment never fails to take place during the annual National Philanthropy Day gathering to honor those who have given their time, money and passion in support of local causes that reverberate around Orange County and beyond. This year, in front of a lunchtime audience of 800 people at City National Grove of Anaheim on Thursday, Nov. 16, Illumination Foundation co-founder Paul Leon couldn’t help but choke up several times as he spoke of the work his organization does on behalf of homeless people. The day happened to mark the 10th anniversary of Illumination Foundation, which provides recuperative health care and other services. 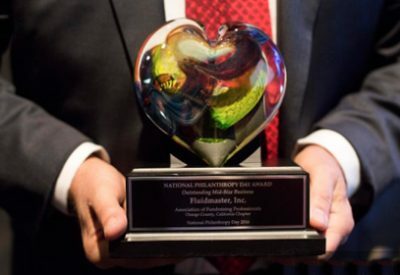 Leon, a public health nurse who once worked for the county, and Paul Cho, who achieved financial success as an investment banker, were honored with the National Philanthropy Day award for Outstanding Founders. They call themselves the Two Pauls. The Ultimate Odd Couple. The Illumination Foundation’s own Dynamic Duo. 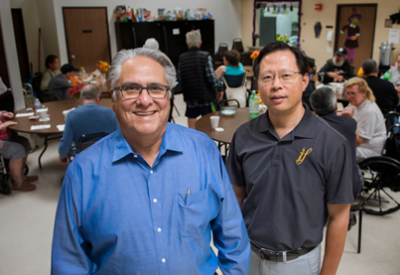 If they hadn’t enrolled in the UCI Health Care Executive MBA program in the fall of 2007 and sat next to each other at orientation, Paul Cho and Paul Leon most likely wouldn’t have known each other from Adam, let alone launch a nonprofit that is a safety net for the most vulnerable homeless people in Orange County — struggling families and individuals suffering mental and physical health issues. Now, set to mark the 10th anniversary of Illumination Foundation, Cho and Leon can look back on guiding an organization that so far has provided housing and health care services to more than 28,000 individuals. 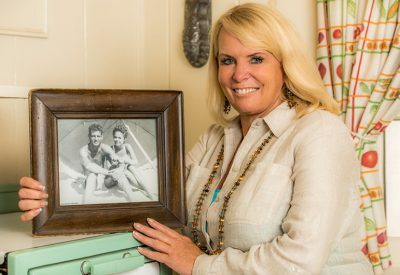 At the beginning, they contracted with hospitals to offer recuperative health care out of a few rented motel rooms and wondered how long they could sustain the effort. Today, headquartered at a multi-service center in Stanton, Illumination Foundation provides children’s services, workforce development and health care outreach along with emergency, bridge and permanent housing in Orange and Los Angeles counties. The nonprofit continues to leverage motels, but also has leased space for shelters, renovated large single-family homes and sought millions of dollars in federal funds for permanent supportive housing to provide what its founders believe is the beginning and end of care for the homeless: a safe place to stay. But so much more is needed, Cho and Leon say. That’s why the two Pauls are planning a modular-based micro housing community with a company called LifeArk that they say can be built at one-third of the time and cost for more conventional structures. It also would be cheaper than such alternatives as the shipping containers used to create the Potter’s Lane homeless village next door to Illumination Foundation’s emergency shelter in Midway City, they say. 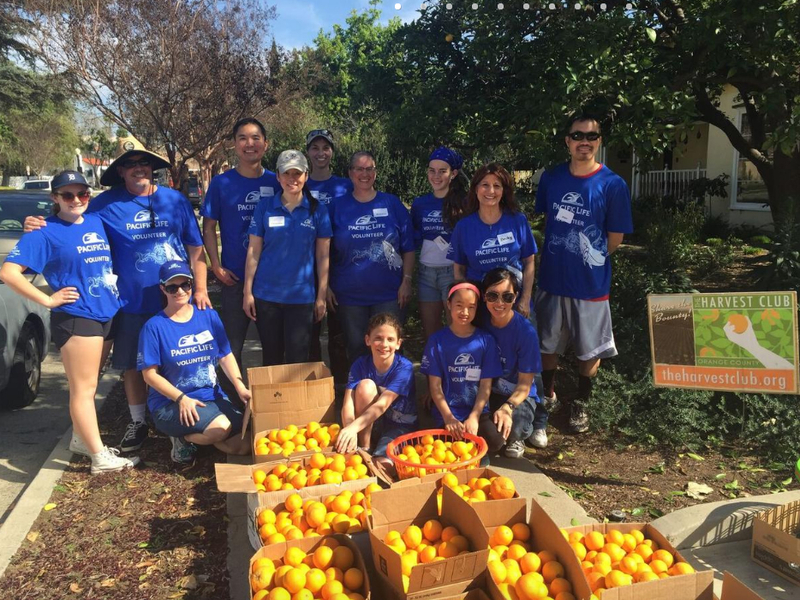 In recognition of the leadership role Illumination Foundation has taken in serving a street population whose numbers have grown into the thousands, Cho and Leon were named Outstanding Founders for the 2017 National Philanthropy Day Orange County awards. “Hopefully the community will see that if you build this whole collaborative system, it actually will work,” Cho said. Americans in particular know what philanthropy means. In 2016, American individuals, estates, foundations and corporations contributed an estimated $390.05 billion to U.S. charities, according to Giving USA 2017: The Annual Report on Philanthropy—a record amount. Philanthropy is so important that in 1986, OC philanthropist Doug Freeman convinced then President Ronald Reagan to declare November 15 National Philanthropy Day. Locally, the OC Chapter of the Association of Fundraising Professionals has been producing a National Philanthropy Day luncheon for more than 30 years, and has honored more than 1,000 people. Some of those ways will be on display when philanthropists, business leaders and individuals come together for the 32nd annual National Philanthropy Day Awards Luncheon on Thursday, Nov. 16 from 11:30 a.m. to 1:30 p.m. at the City National Grove of Anaheim. 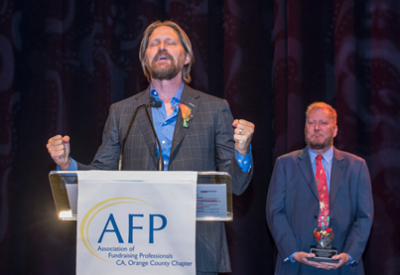 The National Philanthropy Day 2016 awards on Thursday highlighted the past, present and future of charitable giving in Orange County. First up on the stage at City National Grove of Anaheim was Outstanding Youth honoree Vanis Buckholz. Then, as he walked off with his award, Buckholz did the Dab dance move. Employees at Pacific Life in Newport Beach call their volunteer teams the Good Guys. The firm will be honored as Outstanding Large Corporation or Business at Orange County’s annual National Philanthropy Day Awards Luncheon in November.